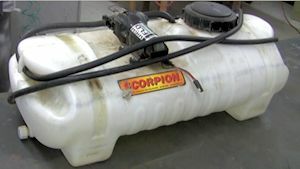 Polyethylene spray tanks are prone to crack, either from getting dropped or from freezing weather. This tank is one that mounts on the back of an ATV. 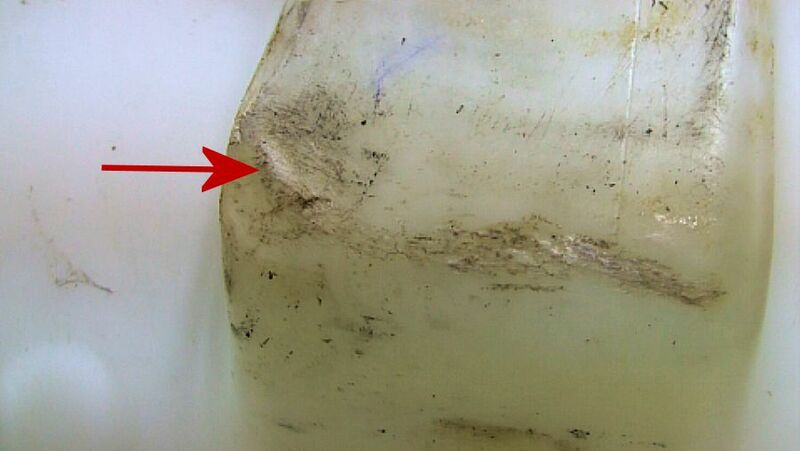 The tank was dropped and developed a crack, although it is difficult to see here. 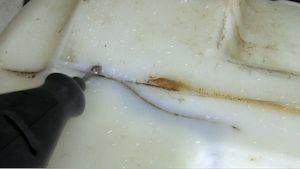 It also developed a crack that the owner tried to repair unsuccessfully with an adhesive. 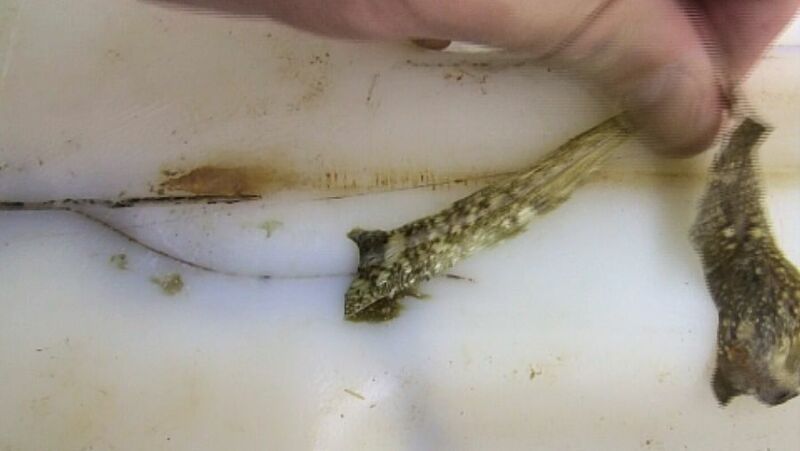 This will be an easy repair. Clean the damaged area the best that you can with a Polyvance plastic cleaner. 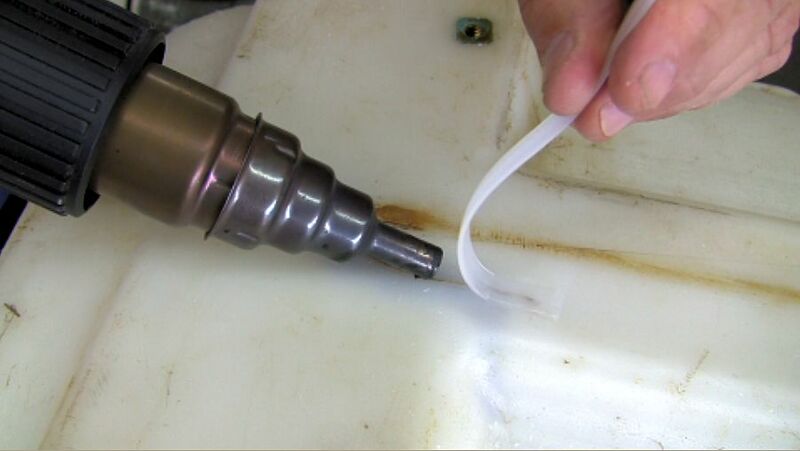 Use a rotary tool with a teardrop shaped cutting bit to Vee groove and grind away any crusty, oxidized plastic. The plastic on this tank was thinner than we expected and we accidentally cut a hole into the plastic with the rotary tool. It’s not a problem, though. Just, use a wider strip of polyethylene to bridge the gap. 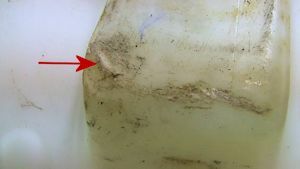 When the tank was dropped, the plastic got stretched and deformed from the impact. 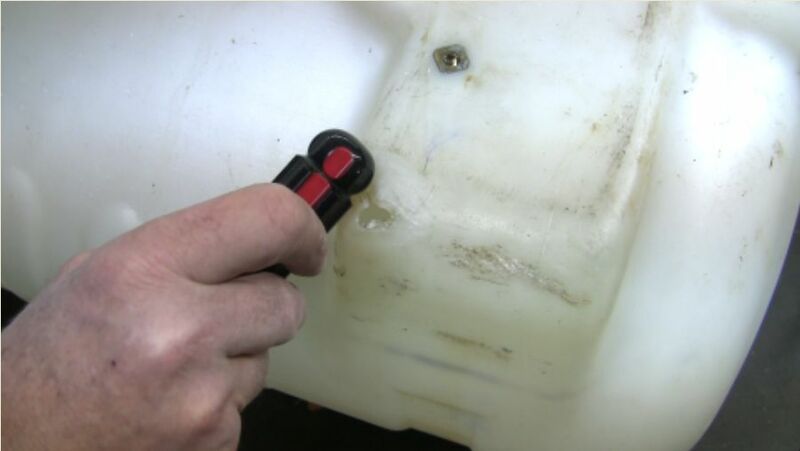 Soften the plastic with the hot air plastic welder and use something like a screwdriver handle to push the plastic back into shape. Make several passes with the strip to not only bridge the gap, but also make the plastic thicker and stronger. 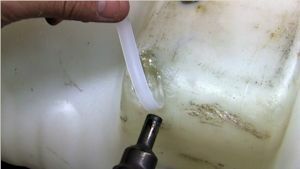 Heating the tank for too long will make the plastic too soft and too difficult to weld because the plastic starts to sag. The plastic starts to turn clear as it approaches its melting point. 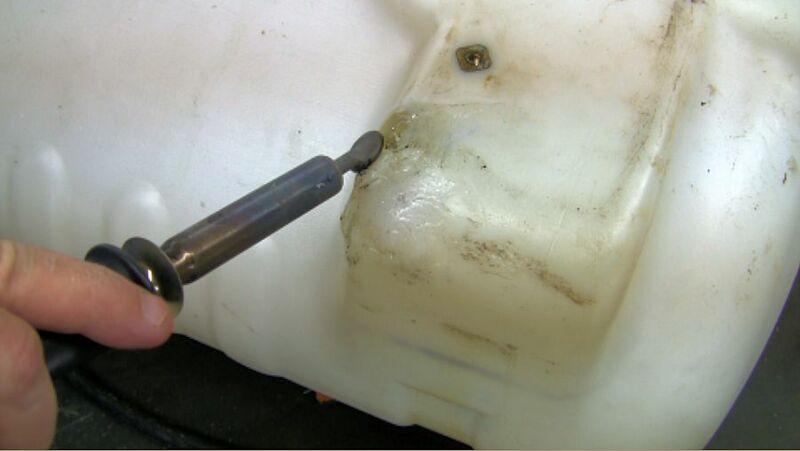 You will probably need to wait until the plastic cools off before adding additional material. Allow it to cool off long enough to where the plastic isn’t clear any more, before adding more plastic. You may want to smooth out the weld and melt down any curled edges with an airless plastic welder. As soon as it cools off, it will be ready to use. You can speed up the cooling with compressed air, if you want. 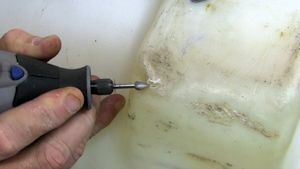 To repair the crack, clean the plastic and then remove a thin layer of plastic along the crack line with a rotary tool and a tear drop shaped cutting bit. This will expose clean, unoxidized plastic. Lay down several passes of the polyethylene rod to repair the crack and to give it extra strength. While the plastic is still hot, melt down any curled edges with the airless plastic welder. 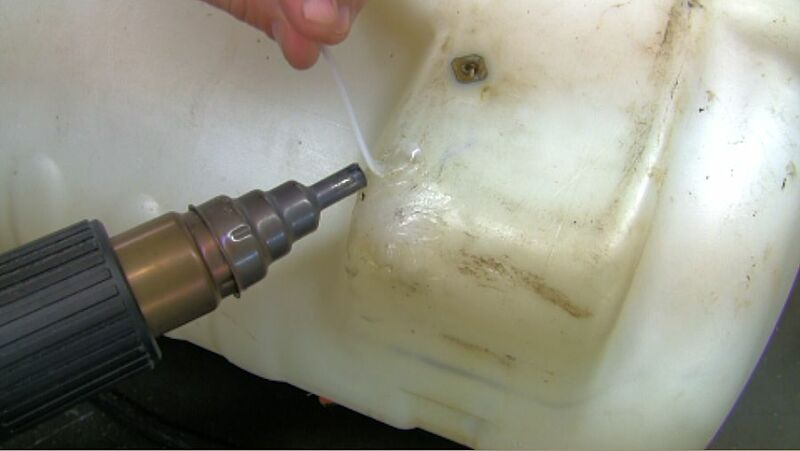 After all the plastic cools off, test the tank for leaks.